Dena Higley and Ryan Quan aren&apos;t wasting any time gutting the cast assembled by Higley&apos;s former co-head writer Josh Griffith. 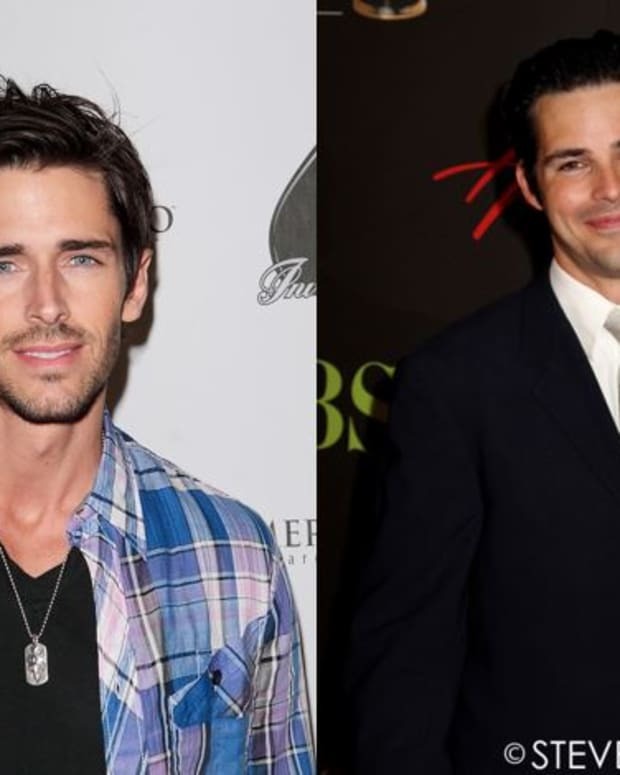 I&apos;m hearing from multiple sources Days of Our Lives&apos; new head writing duo is writing off the characters of Shawn (Brandon Beemer), Belle (Martha Madison), Lani (Sal Stowers) and Summer (Marie Wilson). Shawn and Belle Brady were brought back with much fanfare for the soap&apos;s 50th anniversary last year, initially with Jason Cook reprising the role before Beemer stepped in. If you&apos;re keeping track, Belle&apos;s exit will leave beloved Days of Our Lives heroine Dr. Marlena Evans (Deidre Hall) with no on-screen children left in fictional Salem U.S.A.
Shawn and Belle&apos;s marital and familial woes have been a bright spot on DAYS. It&apos;s been riveting to watch the former teen sweethearts deal with what happens when infidelity, child-rearing and money issues come between a previously star-crossed couple. Here&apos;s hoping another soap snaps up Beemer and Madison quickly. As Abe Carver&apos;s (James Reynolds) long-lost cop daughter Lani, Stowers was the only black female on contract with the NBC soap. Firing the actress proves once again that while discussions of diversity are of growing importance in primetime and film, daytime is completely regressing in this area. Wilson&apos;s Summer has been revealed to be a grifter trying to con heroine Maggie Horton Kiriakis (Suzanne Rogers) out of a fortune, so there&apos;s no real loss in her exit. It does make you wonder, however, why DAYS went on location to introduce a character only to ditch her so suddenly. This has pretty much become par for the course with DAYS. Every year or so, a new creative team takes over and then quickly fires several people brought on by the previous regime. It&apos;s made for a schizophrenic viewing experience that has seen the soap waste some of the biggest names in daytime in recent years, including Sarah Brown, Tamara Braun, Lindsay Hartley, Kassie DePaiva, Chrishell Stause and Melissa Archer.